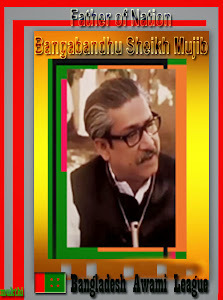 Sheikh Mujibur Rahman was born in a respectable Muslim family on 17 March 1920, in Tungipara village under the then Gopalganj subdivision (at present district) of Faridpur district .He was the third child among the four daughters and two sons of Sheikh Luthfur Rahman and Sheikh Sahara Khatun. His parents called him Khoka out of affection. Bangabandhu spent his childhood in Tungipara. At the age of seven, Bangabandhu began his shooling at Gimadanga Primary school. At nine, he was admitted to class three at Gopalganj Public School. Subsequently, he was transferred to a local Missionary School. Bangabandhu was forced to go for a break of study when, at the age of fourteen, one of his eyes had to be operated on. Bangabandhu returned to school after break of four years caused by the severity of an eye operation. At eighteen Mujib married Begum Fazilatunnesa.They later became the parents of two daughters, Sheikh Hasina and Sheikh Rehana and three sons, Sheikh Kamal, Sheikh Jamal and Sheikh Rassel. All the sons were to be killed along with their parents on 15 August, 1975. Bangabandhu's political career was effectively inaugurated while he was a student of Gopalganj Missionary School. He led a group of students to demand that cracked roof of the school be repaired when 'Sher-e-Bangla' A.K. Fazlul Haque, Chief Minister of undivided Bengal, came to visit the school along with Huseyn Shaheed Suhrawardy. Sheikh Mujib joined the Nikhil Bharat Muslim Chathra Federation (All India Muslim Students Federation). He was elected councillor for a one year term. Sheikh mujibur Rahman passed the Entrance (Corrently Secondary School Certificate) examination. He then took admission as an intermidiate student in the Humanities faculty of Calcutta Islamia College, where he had lodgins at Baker Hostel. The same year Bangabandhu got actively involved with the movement for the creation of Pakistan. Sheikh Mujib's busy and active political career took off in the literal sense with his election as a Councillor of the Muslim League. Bangabandhu took part in the conference of All Bengal Muslim Students League held in Kushtia, where he played an important role. He was also elected Secretary of Faridpur District Association, a Calcutta-based organisation of the residents of Faridpur. Bangbandhu obtained Bachelor of Arts degree from Islamia College under Calcutta Universiy. When communal riots broke out in the wake of the partition of India and the birth of Pakistan, Bangabandhu played a pioneering role in protecting Muslims and trying to contain the violence. Bangabandhu took admission in the Law department of Dhaka University. He founded Muslim Students League on 4 January. He rose in spontaneous protest on 23 February when Prime Minister Khwaja Najimuddin in his speech at the Legislative Assembly declared: "The people of East Pakistan will accept Urdhu as their state language." Khwaja Najimuddin's remarks touched off a storm of protest across the country. Sheikh Mujib immediately plunged into hectic activities to build a strong movement against the Muslim League's premediated, heinous design to make Urdhu the only state language of Pakistan. He established contacts with students and political leaders. On 2 March, a meeting of the workers of different political parties was held to chart the course of the movement against the Muslim League on the language issue. The meeting held at Fazlul Haq Hall approved a resolution placed by Bangabandhu to form an All-party State League Action Council. The Action Council called for a general strike on 11 March to register its protest against the conspiracy of Muslim League against Bangla. On 11 March, Bangabandhu was arrested along with some colleagues while they were holding a demonstration in front of the Secretariat building. The student community of the country rose in protest folloing the arrest of Bangabandhu. In the face of strong student movement, Muslim League government was forced to release Bangabandhu and other students leaders on 15 March. Following his release, the All-party State Language Action Council held a public rally at Dhaka University Amtala on 16 March. Bangabandhu presided over the rally, which was soon set upon by the police. To protest the police action Bangabandhu announced a countrywide student strike for 17 March. Later, on 19 May, Bangabandhu led a movement in support of Dhaka University Class Four employees struggling to redress the injustice done to them by their employers. Mujib was arrested again on 11 September. Sheikh Mujib was released from jail on 21 January. Bangabandhu extended his support to a strike called by the Class Four employees of Dhaka University to press home their various demands. The university authorities illogically imposed a fine on him for leading the movement of the employees. He rejected the unjust order. Eventually, the Anti-Muslim League candidate Shamsul Huq won by-election in Tangailon 26 April . Mujib was arrested for staging a sit-in strike before the Vice-Chancellor's residence. When the East Pakistan Awami Muslim League was formed on 23 June, Bangabandhu was elected its Joint Secretary despite his incarceration. He was released in late June. Immediately after his release, he began organising an agitation against the prevailing food crisis.In September he was detained for violating Section 144. Later, however, he was freed. He raised the demand for Chief Minister Nurul Amin's resignation at a meeting of the Awami Muslim League in October. The Awami Muslim League brought out an anti-famine procession in Dhaka on the occasion of Pakistan's Prime Minister Liaquat Ali Khan's visit to the province. Once again Bangabandhu was arrested and jailed, this time for two years and five months for leading the demonstration. On 26 January, Khwaja Najimuddin declare that Urdhu would be the state language of Pakistan. Though still in jail, Bangabandhu managed to play a leading role in organizing a protest against this announcement. From prison he sent out a call to the State Language Action Council to observe 21 February as Demand Day for releasing political prisoners and making Bangla the state language. He began a hunger strike on 14 February. On 21 February the student community violated Section 144 and brought out procession in Dhaka to demand the recognition of Bangla as the state language. Police opened fire, killing in the process Salam, Barkat, Rafiq, Jabbar, and Shafiur, who thus became martyrs of the Language Movement. In a statement from jail, Bangabandhu condemned the police firing and registered his strong protest. He was on hunger strike for 13 consecutive days. He was moved from Dhaka Central Jail to Faridpur Jail to prevent him from making contact with the organizers of the movement. He was released from jail on 26 February. On 9 July, Mujib was elected General Secretary of East Pakistan Awami League at its council session. Efforts were made to forge unity among Moulana Bhashani, A.K.Fazlul Huq and Shaheed Suhrawardy with the objective of taking on the Muslim League at the general elections. To achieve this goal, a special council session of the party was called on 14 November, when a resolution to form the Juktha Front(United Front) was approved. The first general election were held on 10 March. The United Front won 223 seats out of a total of 237, including 143 captured by the Awami League. Bangabandhu swept the Gopalganj constituencey, defeating the powerful Muslim League leader Wahiduzzaman by a magin of 13,00 votes. On 15 May, Bangabandhu was given charge of the Ministry of Agriculture and Forests when the new provincial government was formed. On 29 May the Central Government arbitrarily dismissed the United Front Ministry. Bangabandhu was again arrested once he landed at Dhaka airport after a flight from Karachi on 30 May. He was freed on 23 December. Bangabandhu was elected a member of the legislative Assembly on June. The Awami League held a public meeting at Paltan Maidan on 17 June where it put forward a 21-point programme demanding autonomy for East Pakistan. On 23 June, the Working Council of the Awami League decided that its members would resign from the Legislative Assembly if autonomy was not granted to East Pakistan. On 25 August, Bangabandhu told Pakistan's Assembly in Karachi: "SIR, YOU WILL SEE THAT THEY WANT TO PLACE THE WORD 'EAST PAKISTAN' INSTEAD OF 'EAST BENGAL'. WE HAVE DEMANDED SO MANY TIMES THAT YOU SHOULD USE BENGAL INSTEAD OF PAKISTAN. THE WORD 'BENGAL' HAS A HISTORY, HAS A TRADITION OF ITS OWN. YOU CAN CHANGE ONLY AFTER THE PEOPLE HAVE BEEN CONSULTED. IF YOU WANT TO CHANGE IT THEN WE HAVE TO GO BACK IN BENGAL AND ASK THEM WHETHER THEY ACCEPT IT. SO FAR AS THE QUESTION OF ONE-UNIT IS CONCERNED IT CAN COME IN THE CONSTITUTION. WHY DO YOU WANT IT TO BE TAKEN UP JUST NOW ? WHAT ABOOUT THE STATE LANGUAGE, BENGALI? WE WILL BE PREPERED TO CONSIDER ONE-UNIT WITH ALL THESE THINGS. SO, I APPEAL TO MY FRIENDS ON THAT SIDE TO ALLOW THE PEOPLE TO GIVE THEIR VERDICT IN ANY WAY, IN THE FORM OF REFERENDUM OR IN THE FORM OF PLEBISCITE." On 21 October, the party dropped the word Muslim from its name at a spacial council of the Bangladesh Awami League, making the party a truly modern and secular one. Bangabandhu was re-elected General Secretary of the Party. On 3 February, Awami League leaders, during a meeting with the Chief Minister, demanded that the subject of provincial autonomy be included in the draft constitution. On 14 July, the Awami League at a meeting adopted resolution opposing the representation of the military in the administration . The resolution was moved by Bangabandhu. On 4 September, an anti-famine procession was brought out under the leadership of Bangabandhu defying Section 144. At least 3 people were killed when police opened fire in hte procession in Chawkbazar area. On 16 September, Bangabandhu joined the coalition government, assuming the charge of Industries, Commerce, Labour, Anti-Corruption and Village Aid Ministry. On 30 May, Bangabandhu resigned from the cabinet in response to a resolution of the Party to strengthen the organization by working for it full-time. On 7 August, he went on an official tour of China and the Soviet Union. Pakistan's President, Major General Iskandar Mirja, and the chief of Pakistan's Army, General ayub Khan, imposed martial law on 7 October and banned politics. Bangabandhu was arrested on 11 October. Thereafter he was continiously harassed through one false case after another. Released from prison after 14 months, he was arrested again at the jail gate. Bangabandhu was released from jail after he won a writ petition in the High Court. Then he started underground political activities against the marital law regime and dictator Ayub Khan. During this period he set up an underground organization called "Swadhin Bangla Biplobi Porishad", or Independent Bangla Revolutionary Council, comprising outstanding student leaders in order to work for the independence of Bangladesh. Once again Bangabandhu was arrested under the Public Security Act on 6 February. He was freed on 18 June, following the withdrawal of the four-year-long martial law on 2 June. On 25 June, Bangabandhu joined other national leaders to protest the measures introduced by Ayub Khan. On 5 July, he addressed a public rally at Paltan Maidan where he bitterly criticised Ayub Khan. He went to Lahore on 24 September and joined forces with Shaheed Suhrawardy to form the National Democratic Front, an alliance of the opposition parties. He spent the entire month of October travelling across the whole of Bengal along with Shaheed Suhrawardy to drum up public support for the front. Sheikh Mujib went to London for consultations with Suhrawardy, who was there for medical treatment. On 5 December, Suhrawardy died in Beirut. The Awami League was revitalized on 25 January at a meeting held at Bangabandhu's residence. The meeting adopted a resolution to demand the introduction of parliamentary democracy on the basis of adult franchise in response to public sentiment. The meeting elected Maulana Abdur Rashid Tarkabagish as party President and Bangabandhu Sheikh Mujib as General Secretary. On 11 March, an All-party Action Council was formed. Bangabandhu led a committee to resist communal riots. Following the riots he took the initiative to start a vigorous anti-Ayub movement. Bangabandhu was arrested 14 days before the presidential election. The government charged Sheikh Mujib with sedition and making objectionable statements. He was sentenced to a one year jail term. He was later released on an order of the High Court. On 5 February, a national conference of the opposition parties was held in Lahore. Bangabandhu placed his historic 6-point demand before the select committee of the conference. The 6-point demand was a palpable charter of freedom of the Bengali nation. On the first day of March, Bangabandhu was elected President of the Awami League. Following his election, he launched a campaign to obtain enthusiastic support for the 6-point demand. He toured the entire country . During his tour he was arrested by the police and detained variously at Sylhet, Mymensing and Dhaka several times, During the first quarter of the year he was arrested eight times. On 8 May, he was arrested again after his speech at a rally of jute mill workers in Narayanganj. A countrywide strike was observed on 7 June to demand the release of Bangabandhu and other political prisoners. Police opened fire during the strike and killed a number of workers in Dhaka, Narayanganjand Tongi. The Pakistan government instituted the notorious Agartala Conspiracy Case against Bangabandhu and 34 Bengali military and CSP officers. Sheikh Mujib was named accused number one in the case that charged the arrested persons with conspiring to bring about the secession of East Pakistan from the rest of Pakistan. The accused were kept detained inside Dhaka Cantonment. Demonstrations started throughout the province province demanding the release of Bangabandhu and the other co-accused in the Agartala Conspiracy Case. The trial of the accused began on 19 June inside Dhaka Cantonment amidst tight security. The Central Students Action Council was formed on 5 January to press for the acceptance of the 11-point demand of Bangabandhu. The council initiated a countrywide student agitationto force the government to withdraw the Agartala Conspiracy Case and release Bangabandhu. The agitation gradually developed into a mass movement. After months of protests, violation of Section 144 and curfews, firing by the police and the EPR and a number of casulties, the movement peaked into an unprecedented mass upsurge that forced Ayub Khan to convene a round-table conference of political leaders and annnounce Bangabandhu's release on parole. Bangabandhu turned down the offer of release in parole. On 22 February, the central government bowed to the continued mass protests and freed Bangabandhu and the other co-accused. The conspiracy case was withdrawn. The Central Students Action Council arranged a reception in honour of Sheikh Mujibur Rahman on 23 February at the Race Course(Suhrawardy Uddyan). At this meeting of one million people, Mujib was publicly acclaimed as Bangabandhu(Friend of Bengal). In his speech on the occasion, Bangabandhu pledged his total support to the 11-point demand of the students. On 10 March Bangabandhujoined the round- table conference called by Ayub Khan in Rawalpindi. At the conference, Bangabandhu placed the 6- point demand of his party and the 11-point of the students and said "To end the people's anger there is no alternative to the acceptance of the 6-point and 11-point demand and the granting of regional autonomy." When the Pakistani polititians rejected his demand he left the conference on 13 March .The next day he returned to Dhaka . On 25 March Gen. Yahya Khan seized power and imposed martial law. On 25 October, Bangabandhu went to London on a three week organizational tour. On 5 December, Bangabandhu declared at a discussion meeting held to observe the death anniversary of Shaheed Suhrawardy that henceforth East Pakistan would be called Bangladesh. He added "There was a time when all efforts were made to erase the word 'Bangla' from this land and its map . The existance of the word 'Bangla' was found nowhere except in the term Bay of Bengal. I, on be half of Pakistan, announce today that this land will be called 'Bangladesh' instead of 'East Pkistan '." Bangabandhu was re-elected President of the Awami League on 6 January. The Awami League at a meeting of the working committee on 1 April decided to take part in the general elections scheduled for later that year. On 7 June, Bangabandhu addressed a public meeting at Race Course ground and urged the people to elect his party on the issue of the 6-point demand . On 17 October, Bangabandhu selected the boat as his party 's elections symbol and launched his campaign through an election rally at Dhaka's Dholai Khal. On 28 October, he addressed the nation over radio and television and called upon the people to elect his party's candadates to implement the 6-point demand. When a deadly cyclonic storm hit the coastal belt of Bangladesh, killing at least one million people, Bangabandhu suspended his election campaign and rushed to the aid of the helpless people in the affected areas. He strongly condemned the Pakistani rulers' indifference to the cyclone victims and protested against it. He called on the international community to help the people affected by the cyclone. In the general elections held on 7 December, the Awami League gained an absolute majority. The Awami League secured 167 out of 169 National Assembly seats in the Provincial Assembly. On 3 January, Bangabandhu conducted the oath of the people's elected representatives at a meeting at the Race Course ground. The Awami League members took the oath to frame a constitution on the basis of the 6-point demand and pledged to remain loyal to the people who had elected them. On 5 January, Zulfiquar Ali Bhutto, the leader of the majority party, the People's Party, in the then West Pakistan, announced his readiness to form a coalition government at the centre with the Awami League. Bangabandhu was chosen as the leader of his party's parliamentary party at a meeting of the National Assembly members elected from his party . On 27 January, Zulfiquar Ali Bhutto arrived in Dhaka for talks with Bangabandhu. The talks collapsed after three days of deliberation. In an announcement on 13 February, President Yahya Khan summoned the National Assembly to convene in Dhaka on 3 March. On 15 February, Bhutto announced that he would boycott the session and demanded that power be handed over to the majority parties in East Pakistan and West Pakistan. In a statement on 16 February, Bangabandhu bitterly criticised the demaned of Bhutto and said, "The demand of Bhutto sahib is totally illogical. Power has to be handed over to the only majority party, the Awami League. The people of East Bengal are now the masters of power." On 1 March, Yahya Khan abruptly postponed the National Assembly session, prompting a storm of protest throughout Bangladesh. Bangabandhu called an emergency meeting of the working committee of the Awami League, which called a countrywide hartal for 3 March. After the hartal was successfully observed, Bangabandhu on 3 March called on the President to immediately transfer power to his party. On 7 March, Bangabandhu Sheikh Mujibur Rahman, addressed a mammoth publicrally at the Race Course ground, where he declared: "THE STRUGGLE NOW IS THE STRUGGLE FOR OUR EMANCIPATION, THE STRUGGLE NOW IS THE STRUGGLE FOR OUR INDEPENDENCE. JOI BANGLA ." 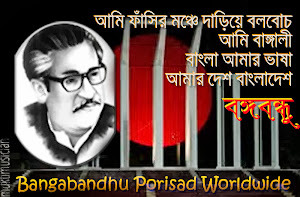 In this historic speech, Bangabandhu urged the nation to break the suckles of subjugation and declared, "SINCE WE HAVE GIVEN BLOOD, WE WILL GIVE MORE BLOOD. INSHALLAH, THE PEOPLE OF THIS COUNTRY WILL BE LIBERATED..... TURN EVERY HOUSE INTO A FORT. FACE(THE ENEMY) WITH WHATEVER YOU HAVE." He advised the people to prepare themselves for a guerilla war against the enemy. He asked the people to start a total non-cooperation movement against the government of Yahya Khan. There were ineffectual orders from Yahya Khan on the one hand, while the nation, on the other hand, received directives from Bangabandhu's Road 32 residence. The entire nation carried out Bangabandhu's instructions. Every organization, including government offices, banks, insurance companies, schools, colleges mills and factories obeyed Bangabandhu's directives. The response of people of Bangladesh to Bangabandhu's call was unparalleled in history. It was Bangabandhu who conducted the administration of an independent Bangladesh from March 7 to March 25. On 16 March, Yahya Khan came to Dhaka for talks with Bangabandhu on the issue of transfer of power. Bhutto also came a few days later to Dhaka for talks. The Mujib-Yahya-Bhutto talks continued until 24 March. Yahya Khan left Dhaka in the evining of 25 March, in secrecy. On the night of 25 March, the Pakistan Army cracked down on the innocent unarmed Bangalis. They attacked Dhaka University, the Peelkhana Headquarters of the then East Pakistan Rifles and the Rajarbagh Police Headquarters. Bangabandhu Sheikh Mujibur Rahman read out a wireless message, moments after the crackdown began, declaring the independence of Bangladesh as 25 March gave away to 26 March . His declaration was transmitted over wireless to the country "THIS MAY BE MY LAST MESSAGE, FROM TODAYBANGLADESH IS INDEPENDENT. I CALL UPON THE PEOPLE OF BANGLADESH WHEREVER YOU MIGHT BE AND WITH WHATEVER YOU HAVE, TO RESIST THE ARMY OF OCCUPATION TO THE LAST. YOUR FIGHT MUST GO ON UNTIL THE LAST SOLDIER OF THE PAKISTAN OCCUPATION ARMY IS DRIVEN OUT THE SOIL OF BANGLADESH. FINAL VICTORY IS OURS." He called upon all sections of people, including Bengali military and civilian personnel, students, workersa nd peasants, to join the resistance against the occupation Pakistan army. This message of Bangabandhu was immediately disseminated throughout the country through radio equipment under specialarrangements. The same night jawans and officers in Chittagong, Comilla and Jessore cantonments put up resistance to the Pakistan army after receiving this message. Bangabandhu's declaration was broadcast by Chittagong radio station. The Pakistan army arrested Bangabandhu from his Dhanmandi residence at 1:10 a.m. and whisked him away to Dhaka cantonment. On 26 March he was flown to Pakistan as a prisoner. The same day, General Yahya Khan, in a broadcast banned the Awami League and called Bangabandhu a traitor. On 26 March M.A. Hunnan, an Awami League leader in Chittagong, read out Bangabandhu's declaration of independence over Chittagong Radio. On 10 April, the Provisional Revolutionary Government of Bangladesh was formed with Bangabandhu as President. The revolutionary government took the oath of office on 17 a pril at the Amrakanan of Baidayanathtala in Meherpur, which is now known as Mujibnagar. Bangabandhu was elected President, Syed Nazrul Islam Acting President and Tazuddin Ahmed Prime Minister. The liberation war ended on 16 December when the Pakistani occupation forces surrendered at the historic Race Course ground accepting defeat in the glorious war led by the revolutionary government in exile. Bangladesh was finally free. Earlier, between Aaugust and September of 1971, the Pakistani janta held a secret trial of Bangabandhu inside Lyallpur jail in Pakistan. He was sentenced to death. The freedom loving people of the world demanded absolute security of Bangabandhu's life. Once Bangladesh was liberated, the Bangladesh government demanded that Bangabandhu be released immediately and unconditionally. A number of countries, including India, and the Soviet Union and various international organizations urged the release of Bangabandhu. Pakistan had no right to hold Bangabandhu, who was the architect of Bangladesh had been recognised by many countries of the world. The Pakistan government freed Bangabandhu on 8 January 1972. Bangabandhu was seen off at Rawalpindi by Zulfiquar Ali Bhutto, by now Pakistani's President. The same day Bangabandhu left for London en rout to Dhaka. In London, British Prime Minister Edward Heath met him. On his way back home from London Bangabandhu had a stop-over in New Delhi, where he was received by Indian President V.V. Giri and Prime Minister Indira Gandi. A memorable reception was accorded to Bangabandhu when the Father of the Nation reached Dhaka on 10 January. From the airport he drove straight to the Race Course ground where he made a tearful address before the country. On 12 January, Bangabandhu became Bangladesh's Prime Minister. On 6 February he left for a visit to India at the invitation of the Indian government. After twenty four years the Dhaka University authorities rescined his expulsion order and accorded him the Universities's life membership. On 1 March he went to the Soviet Union on an official visit. The allied Indian army left Dhaka on 17 March at the request of Bangabandhu. On 1 May he announced a raise in the salary of class three and four employees of the government. On 30 July Bangabandhu underwent a gall bladder operation in London. From there he went to Geneva. On 10 October the World Peace Council conferred the Jullio Curie award on him. On 4 November, Bangabandhu announced that the first general election in Bangladesh would be held on 7 March, 1973. On 15 December Bangabandhu's government announced the provition of according state awards to the freedom fighters. On the first anniversary of liberation the Constitution of the Peoples Republic of Bangladesh was adopted. Among the important achievements of the Bangabandhu government: The re-organization of the administrative system, adoption of the constitution, rehabiliation of one crore people, restoration and development of communication system, expansion of education, supply of fre books to students upto class five and at low price to students up to class eight, effective ban on all anti-Islamic and anti-social activities like gambling, horse races, liquor, establishment of Islamic foundation, re-organization of Madrassa Board, establlishedment of 11,000 primary schools, nationalization of 40,000 primary schools, establishment of women's rehabilitation centre for the welfare of distressed woman. Freedom Fighters Welfare Trust, waiving tax upto 25 bighas of land, distribution of agricultural inputs among farmers free of cost or at nominal price, nationalization of banks and insurance companies abandoned by the Pakistais and 580 industrial units, employment to thousands of workers and employees, construction of Ghorashal Fertilizer Factory, primary work of Ashugangj Complex and establishment of othe new industrial units and reopening of the closed industries. Thus Bangabandhu sucessfully built an infrastructure for the economy to lead the country towards progress and prosperity. Another landmark achievement of the Bangabandhu government was to gain recognition of almost all countries of the world and the United Nations membership in a short period of time. The Awami secured 293 out of the 300 Jatiya Sangsad(parliament) seats in the first general elections. On 3 September, the Awami League, CPB and NAP formed Oikya Front(United Front). On 6 September, Bangabandhu travelled to Algeria to attend the Non-aligned Movement Summit Conferrence. The Peoploe's Republic of Bangladesh was accorded membership of United Nations. On 24 September, Bangabandhu Sheikh Mujibur Rahman addressed the UN General Assembly in Bangla. On 25 January country switched over to the presidential system of governance and Bangabandhu took over as President of the republic. On 24 February, Bangladesh Krishak Awami League, comprising all the poliotical parties of the country, was launched. On 25 February, Bangabandhu called upon all parties and leaders to join this national party. He felt the need for making Bangladesh a self-reliant nation by reducing dependence on forign aid. So he overhauled the economic policies to achieve the goal of self-reliance by reducing dependence on foreign aid. So he overhauled the economic policies to achieve the goal of self-relaince. He launched the Second revolution to make independence meaningful and ensure food, clothing, shelter, medicare, education and jobs to the people. The objectives of the revolution were: elimination of corruption, boosting production in mills, factories and fields, population control and established of national unity. Bangabandhu received an unprecedented response to his call to achieve economic freedom by uniting the entire nation. The economy started picking up rapidly within a short time. Production oncreased. Smugling stoped. The prices of essentiala came down to within parchasing capacity of the common man. Imbued with new hope, the people unitedly marched forward to extend the benefits of independence to every doorstep. But that condition did not last long. In the pre-dawn hours of August 15 the noblest and the greatest of Bangalees in a thousand years, Bangabandhu Sheikh Mujibur Rahman, the architect of Bangladesh and the Father of the Nation, was assassinated by a handful of ambitious and treacherous military officers. On that day, Bangabandhu's wife, a noble woman, Begum Fajilatunnesa; his eldest son, freedom fighter Sheikh Kamal; second son Lt. Sheikh Jamal; youngest son Sheikh Russel; two daughters-in-law, Sultana Kamal and Rosy Jamal; Bangabandhu's brother Sheikh Nasser; brothe-in-law and Agriculture Minister Abdur Rab Serniabat and his daughter Baby Serniabat; Bangabandhu's nephew, youth leader and journalist Sheikh Fajlul Huq Moni and his pregnant wife Arju Moni; Bangabandhu's security officer Brig. Jamil and a 14-year-old boy Rintoo were killed. In all, the killers slaughters 16 members and relatives of Bangadhu's family. Martial law was imposed in the country after the killing of Bangabandhu Sheikh Mujibur Rahman. Democracy was done away with and basic rights were snached away. Thus began the politics of killing, coups and conspiracy. The people's rights to food and vote were taken away. There is interntional provision to hold trial of killers to protect human rights in the world. But unfortunately in Bangladesh, a martial law ordinance was decreed(Indemnity Ordinance) exempting the self-confessed killers of Bangabandhufrom any trial. Having captured power illigally through a military coup, Gen. Ziaur Rahman debased the Constitution by incorporating the notorious Indemnity Ordinance in the Fifth Amendment to the Constitution. He rewarded the killers with jobs in Bangladesh diplomatic mission abroad. The Indemnity Ordinance was repealed by Parliament only after the Awami League led by Bangabandhu's daughter Sheikh Hasina returned to power in 1996. August 15, 1975 is the blackest day in our national life. The nation observes this day as National Mourning Day. Martial law was imposed in the country after the killing of Bangabandhu Sheikh Mujibur Rahman. Democracy was done away with and basic rights were snached away. Thus began the politics of killing, coups and conspiracy. The people's rights to food and vote were taken away. There is interntional provision to hold trial of killers to protect human rights in the world. But unfortunately in Bangladesh, a martial law ordinance was decreed(Indemnity Ordinance) exempting the self-confessed killers of Bangabandhufrom any trial. Having captured power illigally through a military coup, Gen. Ziaur Rahman debased the Constitution by incorporating the notorious Indemnity Ordinance in the Fifth Amendment to the Constitution. He rewarded the killers with jobs in Bangladesh diplomatic mission abroad. The Indemnity Ordinance was repealed by Parliament only after the Awami League led by Bangabandhu's daughter Sheikh Hasina returned to power in 1996. August 15, 1975 is the blackest day in our national life. The nation observes this day as National Mourning Day. 15th August is the National Mourning Day. At the fateful night of August 15 in 1975, the cruelest assassination of history took place. The founding architect of Bangladesh, Father of the Nation, the Glorious Leader of Liberation War, Bangabandhu Sheikh Mujibur Rahman was assassinated along with all the members of his family then in Dhaka and other leaders. Anti-Liberation and reactionary international forces with the help of their local henchmen staged this most brutal murder of all times. The anti-liberation reactionary and counter-revolutionary forces usurped the state-power through the assassination of Bangabandhu on August 15, 1975. The killers brutally murdered not only Bangabandhu, but also his wife Bangamata Fazilatunnesa Mujib, sons Sheikh Kamal, Sheikh Jamal and Sheikh Russell, daughters-in-Law Sultana Kamal and Parvin Jamal. Seventeen more dear and near ones of Bangabandhu, including his brother Sheikh Abu Naser, brother-in-law Abdur Rab Serniabat, nephew Sheikh Fazlul Haq Moni, Moni’s wife Arju Moni, Shahid Serniabat, Baby Serniabat, Arif Serniabat, Sukanto Abdullah Babu, security officerColonel Jamil Uddin Ahmed and Abdul Noim Khan Rinto were also killed during the world’s most heinous terrorism. Bangabandhu’s daughters, incumbent Prime Minister Sheikh Hasina and Sheikh Rehana, survived the carnage as they were in Germany at that time. The hyenas did not even spare the life of Bangabandhu’s nine- year-old minor son Sheikh Russel who was awarded a swarm of bullets on his soft chest when he cried out in fear of the horror and requested the killers to take him to his mother. After 15th August 1975, there came another cataclysmic event that struck Awami League very seriously and led to a temporary vacuum in the leadership: four national leaders, Syed Nazrul Islam, Tajuddin Ahmed, M. Mansur Ali and A.H.M. Kamaruzzaman were killed in Dhaka Central Jail by the same conspirators who had killed Bangabandhu. From that day, the Bangalees have been holding the shock in their hearts as a source of strength to take revenge of this barbaric assassination by fulfilling the dream of Bangabandhu who wanted to turn Bangladesh into Sonar Bangla, a peaceful abode of teeming millions in this part of the world. The nation this year is observing the day in a different atmosphere as the five death row convicts of the murder trial of Father of the Nation Bangabandhu Sheikh Mujibur Rahman were hanged in the early hours of January 28 putting an end to the darkest chapter of the nation’s history. Begum Fazilatunnesa (Birth: Tungipara, Gopalganj., Aug 8, 1930) – Begum Fazilatunnesa was the wife of Sheikh Mujibur Rahman, mother of Prime Minister Sheikh Hasina. Hasina says her mother was actively involved in forwarding the cause of Bangladesh's independence and bent on making her husband's dream come true. Sheikh Kamal (Birth: Gopalganj, Aug 5, 1949) – Sheikh Kamal was the eldest son of Sheikh Mujibur Rahman. He was a freedom fighter. He was the founder of Abahani Krira Chakra. He also played significant roles in the 1966 movement for self-determination, and the 1969 mass uprising. Sultana Kamal Khuku (Birth: Dhaka, 1951) - Sultana Kamal Khuku was the wife of Sheikh Kama. She had a BSS (Hons) from Dhaka University. She was an established athlete. She won several national prizes in long jumps with records. Sheikh Jamal (Birth: Gopalganj, Apr 28, 1954) – Sheikh Jamal was the second son of Sheikh Mujibur Rahman. While being under house arrest with his mother in July, 1971, he fled to free zone and participated in liberation war. Parveen Jamal Rosy (Birth: Sylhet, 1956) – Parveen Jamal Rosy was the wife of Sheikh Jamal and daughter of Bangabandhu's younger sister Khadeza Hossain. She was studying at Badrunnesa Ahmed College. Her father was Syed Hossain serving as the establishment ministry secretary under Bangabandhu government. Sheikh Russel (Birth: Oct 18, 1964) - Sheikh Russel was the youngest son of Sheikh Mujibur Rahman. He was a 10 year-old student at Dhaka University Laboratory High School. Sheikh Abu Naser (Birth: Tungipara, Gopalganj, Sept 1928) - Sheikh Abu Naser was the younger brother of Sheikh Mujibur Rahman. He was a renowned businessman in Khulna. Abdur Rab Serniabat,( Birth: Barisal, Chaitra, 1327) – Abdur Rab Serniabat was the husband of Sheikh Mujibur Rahman's third sister Amena Begum. Bangabandhu appointed him as agriculture minister in 1973. He had a significant role in reforms in agriculture. Sheikh Fazlul Haque Moni (Birth: Tungipara, Gopalganj, Dec 4, 1939) – Sheikh Fazlul Haque Moni was the eldest son of Sheikh Mujibur Rahman's elder sister. He was the founding chairman of Awami Juba League. 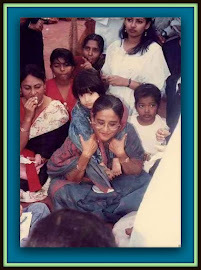 Begum Arzu Moni (Birth: Barisal, Mar 15, 1947, Barisal) – Begum Arzu Moni was the wife of Sheikh Fazlul Haque Moni. She sat MSS exams in political science in Dhaka University in 1975. Baby Serniabat (Birth: Barisal, May 20, 1960) - Baby Serniabat was the youngest daughter of Abdur Rab Serniabat. She was a class-nine student of Laboratory High School in Dhaka University. Shahid Serniabat (Birth: Barisal, Mar 26, 1940) - Shahid Serniabat was a nephew of Abdur Rab Serniabat. He was the correspondent to Dainik Bangla in Barisal. Abdul Nayeem Khan Rintu (Birth: Barisal, Dec 1, 1957) - Abdul Nayeem Khan Rintu was a cousin of Amir Hossain Amu. He sat SSC exam under Barisal Zilla School in 1975. Arif Serniabat (Birth: Mar 27, 1964) - Arif Serniabat was the youngest son of Abdur Rab Serniabat. He was a class-four student of Laboratory High School in Dhaka University. Sukanto Abdullah Babu (Birth: Gauranadi, Barisal, June 22, 1971) – Sukanto Abdullah Babu was a grand son of Abdur Rab Serniabat. Col. Jamaluddin Ahmed (Birth: Gopalganj, Feb 1, 1933) - Col. Jamaluddin Ahmed was the chief security officer of Sheikh Mujibur Rahman.